What is the Limitation Act? The Limitation Act 1980 sets out the rules on how long someone has to take action through the courts against another party. If the limitation period has expired then a claim is statute-barred and the person who wants to make the claim may be prevented from doing so. If a claim is made out of time, the defendant is able to plead the defence of limitation so putting the burden of proving the reason for the claim arose within the allowed time period. 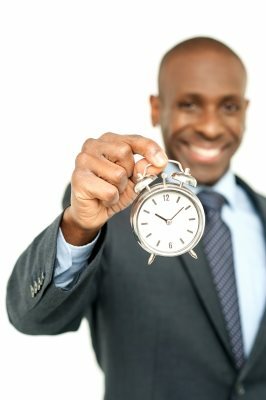 Limitation periods impose time limits for a party to bring a claim, or give notice of a claim to another party. Limitation periods for debts and other claims are important, because if you run out of time, you will not be able to use the courts to make a claim. Limitation periods are imposed by the Limitation Act 1980. There are different periods allowed for different types of claims. The time runs from different dates depending upon the reason for the claim. For example a claim for breach of contract will run for six years from the date when the contract was breached or broken. A claim for negligence will run for six years from the date when the negligent act or omission occurred. Time for claiming is running out, what can I do? The day the court receives your claim is the start of proceedings. By starting proceedings you stop time running for your claim. A claimant should commence proceedings if the limitation period is getting near. A claimant can start their claim and then ask for it to be put on hold if the other party then engages. This protects your right to sue. What is the time limit for claim under the Consumer Protection Act 1987? Within ten years from the relevant time. What is the time limit for a claim for negligence? Within six years from the negligent act or omission, or if later, within three years of the date of knowledge in cases of latent defect. Negligent latent defect is barred by way of long stop after fifteen years from the negligent act or omission. The extension of the six year period was introduced by the Latent Damage Act 1986. You have three years from either the date of knowledge of loss or the date when you ought reasonably to have known of your loss. What is the time limit for a personal injury claim? Within three years of the negligent act or omission or knowledge if later. What is the time limit for a death claim? What is the time limit for a breach of contract claim? Within six years of the date of the breach. The limitation period for a breach of contract claim cannot be extended on latent damage grounds. What is the time limit for a product liability claim? Within ten years of the relevant time period as defined in the Consumer Protection Act, or, within three years subject to a long-stop period of ten years from the date of supply. What is the time limit for a breach of Tort claim? Within six years of the date of the relevant act. What is the time limit for claiming rent arrears? Within six years from the date on which the arrears or damages for arrears became due. What is the time limit for enforcing a Judgment? Enforcement should be started within six years of the date upon which the Judgment became enforceable.